Is a transitional substituted accounting period (SAP) of less than 12 months that commences on or after 1 July 2011, for which an assessment is issued under section 168 of the Income Tax Assessment Act 1936 (ITAA 1936), an ‘income year’ to which Part 1 of Schedule 4 of the Tax Laws Amendment (Research and Development) Act 2011 (the R&D Act) applies, for the purposes of Division 355 of the Income Tax Assessment Act 1997 (ITAA 1997)? Yes. A transitional SAP year of less than 12 months is treated as an ‘income year’ for the purpose of an assessment under section 168 of the ITAA 1936. Where such a transitional SAP year commences on or after 1 July 2011, it will satisfy paragraph (a) of Part 1 of Schedule 4 to the R&D Act and will fall within the scope of Division 355 of the ITAA 1997. The taxpayer applies for and is granted approval from the Commissioner, under section 18 of the ITAA 1936, to change its accounting period end from 30 June to 31 December for the 2012 income year onwards. To facilitate the change in accounting period, it is granted a transitional SAP year of 1 July 2011 to 31 December 2011, in lieu of the 2012 income year. The taxpayer is an R&D entity within the meaning of section 355-35 of the ITAA 1997. During the period 1 July 2011 to 31 December 2011, the taxpayer incurs expenditure on registered research and development (R&D) activities. 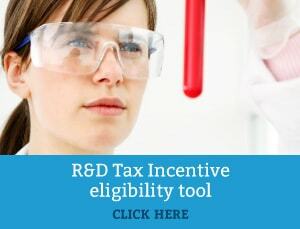 The taxpayer includes a claim for the R&D tax incentive under Division 355 of the ITAA 1997 in its 2012 transitional SAP company tax return. The taxpayer is issued an assessment for its 2012 transitional SAP year under section 168 of the ITAA 1936. The R&D tax incentive was introduced by the R&D Act and the enacted provisions were added to the ITAA 1997, principally in Division 355. Click here for the full ATO Interpretative Decision.